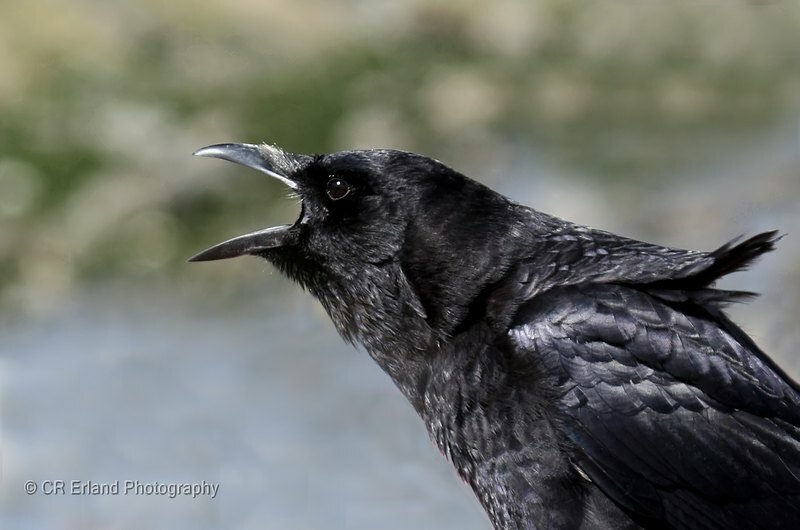 I was totally ignored while this crow was intently calling out to others and that gave me the opportunity to try lots of shots! I've never really known much about crows and when I looked them up I found out that young crows remain with their parents until they can find a home of their own, and individual relationships may last years. They don't breed until they are at least two years old, and most do not breed until they are four or more.